CHEVIOT – Kroner Dry Cleaners is picking up the parking tab for its customers this holiday season. Throughout the month of December the business is offering free parking in front of its store on North Bend Road. “You can never say thank you enough and what better time to do it than during the holidays,” owner Ray Kroner said. The Cheviot Westwood Business Association, now called the Cheviot Westwood Community Association, started a free parking program in the Cheviot business district during the month of December in the late 1960s, he said. The city halted the free parking program last year in response to concerns about abused parking privileges, he said. 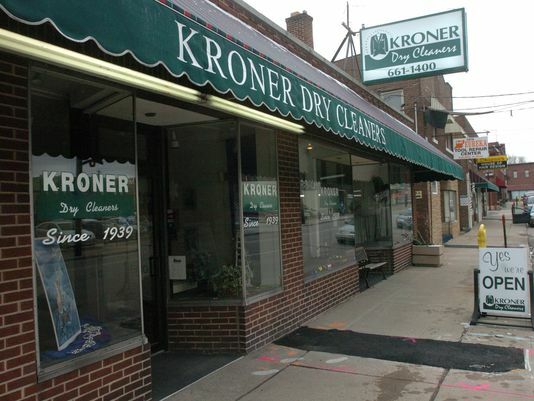 Since the dry cleaner isn’t located in a congested area of the city business district, Kroner said his store never experienced any of the negative parking meter issues. The holiday free meter program was a perfect example of Cheviot’s motto – Big City Spirit, Small Town Charm, he said. So, he decided to restore free holiday parking in front of his shop for his customers. “2014 wraps up our 75th year in business,” Kroner said. “As an anniversary ending gift to our customers we are providing free parking for the month of December. “Holiday stains on you? Parking on us,” he said. Kroner’s will refund the city for the loss of parking meter revenue for the month. More and more, Kroner said consumers are looking to support independent businesses. “People demand personalized attention, especially in our business where your wardrobe is an extension of your personality,” he said. Small shopping districts like the ones in Cheviot and Westwood should be primed and ready to meet the demand, he said. “There are many ways to show our commitment to the community we are in, free parking is just one of them,” Kroner said.